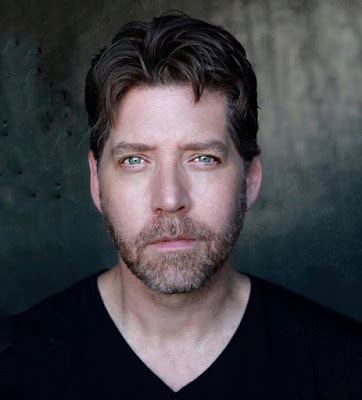 Award-winning actor/singer James Barbour is an LA onstage favorite. His charming personality, good looks and magnificent voice are all reasons to rush ro buy a ticket to 1776 opening Friday January 11 at La Mirada Theatre for the Performing Arts. Barbour took time from his busy schedule to chat about his involvement with the show and others in his remarkable career thus far. What role are you playing in 1776? Have you played him before? I’m playing Edward Rutledge. This is the third time I’m playing this role but the fourth time I’ve done the show. The first time I did the show, I played Jefferson. Tell our readers about your acting challenges in playing this role. In my mind 1776 has one of the best books of a musical ever written and all of the characters have incredible depth. Rutledge is no exception. I don’t look at it so much as a challenge in the regular sense, but more an effort to find increased nuance and meaning within the character. Even now after having playing the role over countless performances I’m gaining new insights with each passing day. Why is 1776 compared to Hamilton in your opinion? Simply put they both deal with journey toward American Independence, Alexander Hamilton, however, is not mentioned in 1776 which is interesting. I saw the original 1776 and will always remember it not only for the performances and the music but because it made our wants and needs as citizens the top priority. Do you think these ideals will ever be met judging by our current administration? I think ideals are often that…ideals. Merriam Webster defines Ideal: as “A standard of perfection." I suppose the question should be: Is an ideal attainable? Even our founding father’s with their goal of true Independence fell far short of “perfection.” After the signing of the Declaration women were still denied the right to vote, could not go to college and once married they lost their autonomy. Slavery remained a constant with something like 41 members of the Continental Congress owning slaves including Thomas Jefferson himself. One stark contrast between then and now is that the men who served in the Continental Congress did so freely. They were not paid and it was not their “job”. Most of the men who signed the Declaration lost everything they had during the Revolutionary War, their lands, their families and some even their lives. In the end even though the “ideal” of freedom and a war in the name of Independence left many without that very right, do we ask if the founding fathers did enough? What if they hadn’t acted? Hadn’t taken a stand? Had’t communicated and set aside their differences to reach a common goal? And how do those actions relate to today? I think we’ve lost the ability to communicate as a whole. We are one people living on this earth, each of us with different lives, different viewpoints and different realities. Would that we could talk to each other, understand each other and live harmoniously despite our differences in an effort to better our world. Tell us about your director and cast members. What an incredible group of people! This is the fourth time I’ve worked with our director, Glenn Casale, and the second time we’ve done 1776 together. There is an understanding we have not only as director to actor but as friend to friend. It’s pure joy to work with him. The cast…wow. Again, many I’ve worked with before in various productions, some I’ve known for years and some I’ve just met on this adventure. Truly a remarkable team has been assembled. Who in your mind is the most influential composer of our time? Why? Interesting question. I think influence depends upon the listener. Coming from the era in which I hail, I hearken to composers who have stood the test of time and who have also crossed genres successfully. George Gershwin is the name that immediately comes to mind. He crossed so many genres and continues to have an impact even now. When I think of our current world, Lin-Manuel Miranda is undoubtedly taking the industry by storm. He’s broken new ground, pushed aside “norms” to build what amounts to a creative movement of the highest order. Just think of the sheer numbers of people who have been influenced by his music, know of his work and the countless new theatre goers who have Hamilton as their first theatrical experience. It’s truly remarkable to watch the rocket ride he is on, and what’s more, he takes us all with him, audience and performers alike with him. What's been happening for you onstage as of late? I saw you in Les Mis. After that? After Les Mis I had the honor to spend nearly the next three years playing The Phantom on Broadway. Aside form my own one man shows currently in development, 'The Ghosts Of The Majestic' and 'Bring Me Giants', I’m also executive directing a new show called “Good Enough” which stars Ted McGrath and we are in pre-production for the feature film version of “Good Enough” which should start filming this summer. One fun note, I’m also appearing in concert at La Mirada on May 18th so I’m looking forward to that as well. What is your favorite role to date and is there one you are longing to play in the future? Why this choice? Always a tough question. I truly find something in each and every role I’ve ever done. It’s truly hard to pin it down to just one. Anything you wish to add about the show, La Mirada Theatre & McCoy Rigby? Working at La Mirada and with McCoy/Rigby is like being with family. All during my run of Phantom I would chat with Tom McCoy about what he had on the burner. I jump at any chance I have to “come home” to La Mirada and McCoy/Rigby.